Starting the task of writing and planning can be paralyzing if you don’t know how to write a business plan. However, it is actually pretty easy to get started and build some momentum on your project if you understand some basic rules. First, putting together a business plan is very much like baking a pie – both require some assembly and there are lots of different ingredients that can be used. You wouldn’t bake a pie without the recipe or without checking to make sure you have all the right ingredients would you? Secondly, in the beginning there is some organization and prep work necessary before throwing all the ingredients in the pie tin and putting it in the oven. Organizing your research and main points on the outset will make it easier once you start adding in the details and your business plan begins to take shape. >make a preliminary outline of the different sections you want to cover in your plan based on your particular business. Some of the more common sections include: the Executive Summary, the Company Summary, a Product Summary, Market Summary, Operations Strategy, and Financial Projections. 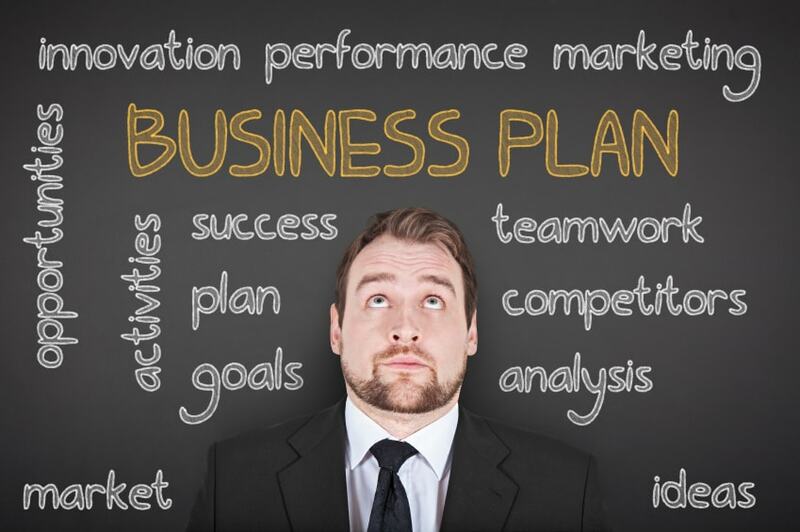 For a listing of each of these sections and a short summary of each view the article titled Business Plan Layout. Outlining your plan first will give you a starting point and provide a base you can use to build on. You may find it necessary to include a different section or exclude one or more of the standard sections mentioned above and that is okay. No two business plans are exactly the same as they are often used for very different things (startup, raising capital, or goal setting). Most microlenders understand that they are working with very early stage businesses, and some decent percentage of them will fail. This means that the only way to hope to get their loan repaid is to bet on the individual borrower. So the lender is looking for a borrower that they think will be able to get a day job that will be able to pay back the loan even if the business fails. If your resume shows that you used to be a senior programmer for Google, and you left to start this business, the lender is going to assume that you will be able to get a job someday if needed. 2) Organize Your Research – research is how you are going to fill in the details for the main content points for each of the sections you have already identified and organizing this process will save you hours of rework. First, make a list of research sources you plan to use such as trade magazines, internet news articles, competitive analysis, interviews or printed resources. Next, create a folder for each of the main content sections of your business plan (Product Summary, Operations, Financials, etc.) and as you print off an article or find a piece of information from your research sources that you want to use, simply put it in the specific folder marked for that section of your business plan. After you have finished your research work you will have a folder full of information for each section of your plan ready to go! 3) Spreadsheets and Formatting –putting together a profit / loss spreadsheet and trying to figure out how to format the overall plan are huge stumbling blocks for many people, but this is actually the easy part…read on. With all the resources available online there is no need to start from scratch as there are numerous professional looking templates you can use and modify to fit your needs. Most of these will include the main business plan along with one or more spreadsheets with formulas and necessary calculations for profit and loss already setup. Simply plug in your data. Writing a business plan is more about doing it than reading about it. Use these simple steps to get started and your plan will begin to take shape sooner than you may think. Now that you know how to tackle the plan itself, it is time to get funding for your business. *Your e-mail is safe with us...we hate spam as much as you do. 2016 Copyright by Business Plan Examples. All rights reserved.